But how interesting would it be if you knew some quick tricks to attract wealth in your home! Cool, isn’t it? 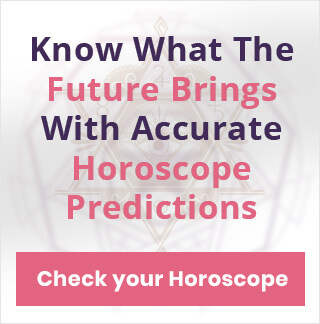 Well, you couldn’t have come to a better place because here we have got nine super easy and tremendously effective Feng-Shui tips that will surely help you accumulate significant wealth, thus building a prosperous household. 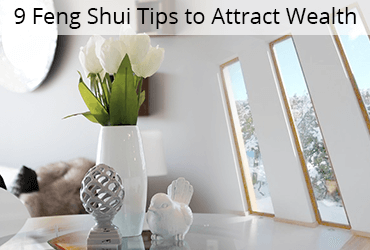 This is the most common tip in building a happy Feng-Shui household. So, keep the clutter out of the house as not only does it make your place look untidy but also keeps the good energies like wealth and prosperity away. Dedicating nothing but a few minutes daily in finding stuff that's needless would make it a lot easier. 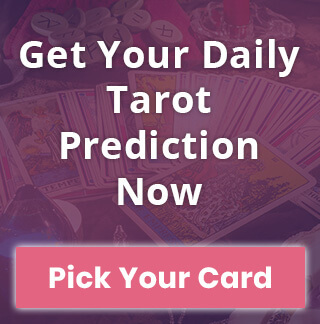 Read this Now: How to Find True Love Using Tarot? The entry point into your house is referred to as the mouth of ‘Chi’ in Feng Shui. To attract wealth, it needs to be perfect. There should be nothing blocking the way of your front door, it must not squeak, it must face the right direction, and most importantly, it must be strong and clean. As per "Feng Shui, windows and vents represent the vision of your house". Broken, untidy, and dirty window panes make the vision blurry so make sure you look into it and keep things in line. Clean windows invite more opportunities to earn and accumulate wealth. To bring abundance into your home, you need to expose yourself to it. To do so, you can always use the classic signs and symbols. Using the color gold and metal objects made of brass are a good option, they represent money and prosperity. Hanging paintings of opulent objects like jewelry and vases would be a great option. Fountains have a very special place in Feng Shui practice. They represent freshness. Using fountains or any setup that displays flowing water and foam works phenomenally well in bringing wealth into your household. This adds the element of water into the surroundings which can also be achieved through hanging artworks, especially paintings of massive water bodies like oceans and waterfalls. Planting more trees around the house is an excellent way to attract wealth. Also, preserving the green spaces in your house leads to a happier and more abundant home. Use plants that grow fast like bamboo as they symbolize astounding growth. Don’t let your plants die, it’s a bad sign for your finances. If the mirrors in your room, or anywhere in the house are tainted and hazy much like the ones you see in the public restrooms, then get them fixed or replace them as soon as possible. Every mirror in your house should be a perfectly reflecting surface where you can see yourself clearly. Mirrors symbolize good fortune. To boost the wealth energy flow into your house, use fish as a symbol while decorating your house. This is an interesting home decor choice to beautify your home and inviting wealth at the same time. Kitchen clock with a fish dial, shower curtains with tiny fishes on them, and images of aquatic life around the house stimulate the wealth growth by quite a significant margin. Crystals have terrific applications in Feng Shui. They’re basically used to stimulate positive energy centers or the Good Chi in the house. Using crystals or artifacts made of crystals to decorate your house will instantly attract wealth and happiness plus, there’ll be a more peaceful environment around the house. Following the above tips will definitely help you open the doors for wealth to come in and make your house an even happier place to live.